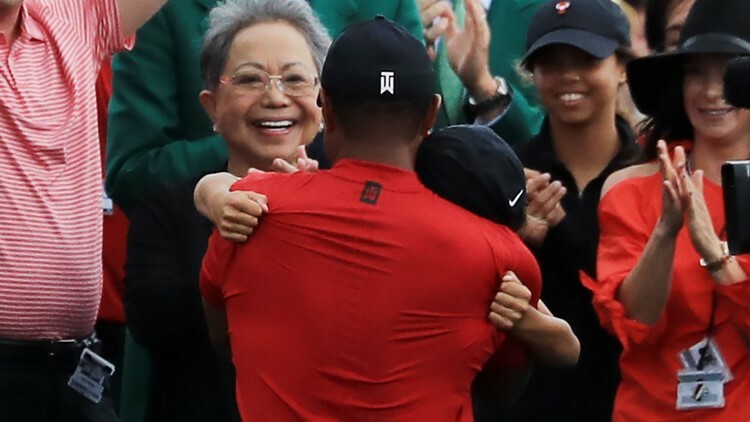 Hugging your dad after blowing away the field at The Masters must feel really good; enjoy it. You’re 21 and you’ve come so far since appearing on national television as barely more than a toddler. But what if I told you (thank you, 30 For 30) that compared to the next half of your life, this journey was just a walk outside your front door? Oh, you’ll continue on the upward charge, winning majors and pulling the game of golf along with you. The game will see the immediate benefits of your star in the sky – viewership and participation that the world hasn’t seen since Arnie had his army. Your intensity on the course, and your dominance of the game will cause observers to say courses aren’t long enough, fairways aren't narrow enough, and no one will be able to match your athleticism. Your Sunday red will become a trademark, and apparel and merchandise will be created so that everyone can dress like you and swing the same clubs you do – but no one can be like you. Golfers will become more athletic just to keep up, and course designers will look to find properties that can bring the game to the inner cities. With your dad’s help, you will create a foundation for just that purpose. Kids will no longer want to be Ken Griffey Jr., or maybe even Michael Jordan – they’ll want to be like Tiger, eat Wheaties like Tiger and drink Gatorade like Tiger. Your bank account will have more zeroes than you can squeeze on a page. It’s what your dad has told the world. You, Eldrick Tont Woods, will become the chosen one. 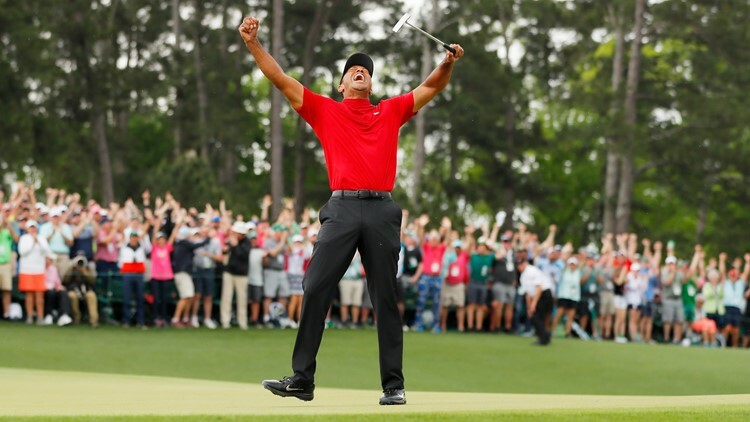 The phrase Tiger Slam will be created to describe your four consecutive major titles. You will be not only in reach of Jack Nicklaus’ record of 18 majors, but the Golden Bear will hear your footsteps. And you will be just on the other side of thirty. You will marry a beautiful woman and have two equally beautiful children. You will live in a gated community where you can wall off the rest of the world. You will keep a close circle of friends that you can trust – those you find you can’t you’ll discard. Very few come from the PGA Tour you dominate. Your father, who you just gave that warm hug to, will pass away, taking away the guiding point on your compass. You’re already starting to feel the downside to the incredible torque your swing demands. You will go through numerous changes in your mechanics, switching coaches like people change socks, demanding excellence out of yourself but in the process you’ll be smiling less and less – and winning less and less. The 2008 U.S. Open, where you will push yourself through a Monday playoff despite torn knee cartilage, is a testament to your mental makeup. You will leave people shaking their heads in disbelief. But it will also be your last major. People will then be shaking their heads at you for different reasons. The car crash on Thanksgiving night. The subsequent rumors. The wild, nasty tabloid headlines. The very public, very expensive divorce. Suddenly you will gain detractors while losing fans. But that was only a part of your inner struggle. You will miss your father more than ever. You will wall yourself off even more. And things will get worse. How could they, you ask? Your back will begin to rebel against you. You’ll break down like a man double your age. Pain will be a constant, though unwanted, companion. You will even be absent from the PGA Tour for the better part of two years, an infrequent participant otherwise. You will be written off, frozen in time with those 14 major titles. Tiger Woods, the 780th ranked golfer in the world. And then, like the rising sun in the morning, perspective comes. As you undergo surgery after surgery to live a normal life, let alone that of a one-of-a-kind golfer, you begin to live a normal life. You enjoy being a parent. You are able to mend fences with your ex-wife and work together for the best interest of your kids. You find out being a golfing god may just be easier once you become more human. And then, just when you wonder if you’ll ever be able to walk normally again, you do. You will yourself through physical rehab, and get yourself back on the driving range, and then the course. Meanwhile, the golfing world goes on without you. The players no longer look like Average Joes but instead become sculpted like G.I. Joes as lines form outside the workout trailers at tour events. Three-hundred-yard drives that used to only be your domain become commonplace. Courses will be made longer to keep the players in the yard, but those bulging television ratings just aren’t the same sans Tiger. Curiosity dominates the headlines – will Tiger return? Then it will become When will Tiger return? Ultimately, you will return but the world will only see glimpses of your former greatness. But that mind, that iron-forged competitiveness only you can blend with rare talent, will push you – no drive you – back up leaderboards and then world rankings. It will be hard to see as it is happening, but in hindsight the eyes on you will see the levels of progression: from participant to tantalizing talent to contender again. At Bellerive Country Club in St. Louis, your final round will set the golfing world, and even those curious casual fans who disappeared from the TV ratings, back on fire. And a funny thing will happen. You won’t be the distant, out of touch Tiger. You will go out of your way to thank those that came to watch you play. It’s a Tiger many of those witnesses hadn’t seen; certainly not for the better part of two decades. You will openly show gratitude for rooting you on. You will become more like one of the guys on tour as you build friendships. You will even make up with the media, and allow the world to see a kinder, gentler Tiger. Not a distant god, but perhaps a human being just like the rest of the world – one whose life has played out in front of a zillion eyes. Though there are the crusty holdovers who continue to wonder why Tiger is the only player highlighted on evening newscasts and lionized on Sportscenter, the curiosity will continue to rise. You will answer the question of when you will win again at The Tour Championship in 2018. After five tedious years you will be a certified winner again. It is something you have always known that you were, but now there will be proof. Like a Beethoven symphony, the crescendo will rise at where else? Augusta, where it all tangibly began. You will rise into contention on Friday, even playfully pushing aside the potential threat a near mishap might present. You will become comfortable with your past, joking that despite four knee surgeries and four back surgeries, you’re okay. You will be endearing yourself to a generation of fans that never saw you at your heights. Like the buzz you created when you were first warmed by the national spotlight, you will generate a surge of momentum that will carry you through Saturday. And then like the storm you are creating now, not even an early start on Sunday will keep you from being your mental best. You will steadily manage the course again and you will wake the echoes of 2005’s miracle chip on 16 with a tee shot that will sew up your major. You will be back. As you come back to the Butler Cabin later, you will be greeted by your contemporaries, genuinely happy for the friend you have become. But before that you will get to relive today all over again. Not with your father, but in a life transition so exquisite that many can not only relate to but crave, that hug is with your son. It’s a hug that represents the passage of the years in an instant - the warmth of a struggle completed - the joy of a journey conquered.